Indeed rainbow is God’s expression of his fidelity! nice article Adnelle. Didn’t know you’re in town. Are you here for good or just on vacation? God bless! You are lucky to shoot a beautiful rainbow… Whenever i see one rainbow I usually get my camera and try to shoot it, but more often than not the result is unsatisfactory. How I wish I were with you in that lonely road and I could have that chance to see and shoot that rainbow. 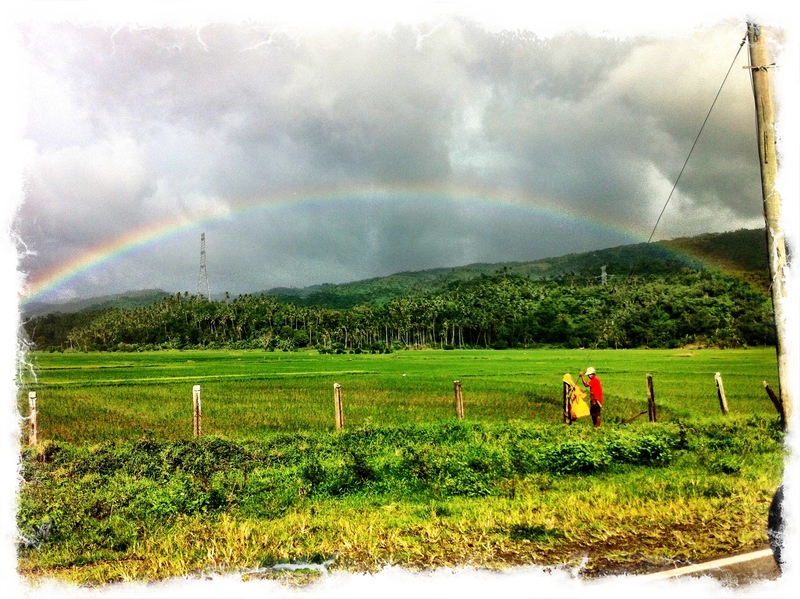 A rainbow is a thing of beauty that reflects even just a little the beauty of its Creator…As I write this, I hear some firework bursts in celebration of the Holy Child here in Cebu. Here they shout “Pit Senyor!” which I believe means “Mabuhay ang Panginoon!” I do pray for you and for your intention before the Holy Child…the Sto. Niño!